Time to look get into some cool stuff coming as Resident Evil 2 heads to PS4, Xbox One, and PC soon and will be available on 25 January 2019. Here are 5 Resident Evil 2 features I’m looking forward to from Capcom as I get ready to head back to Racoon City soon! Below find a list of all these cool features and my thoughts on the potential of this Resident Evil 2 remake ahead of release. Plus, this article includes videos, images and some information on the game you might find useful. Let me know what you’re looking forward to in this remade classic in the comments. For more on Resident Evil 2, go here. On mobile, view as one page here. The gameplay for Resident Evil 2 looks incredible. The layout for your inventory is very similar to Resident Evil 7, however I like the fact they have kept the layout for the Police Station, the same as the original. The fact that it’s third person just like in Resident Evil 4, 5 and 6. 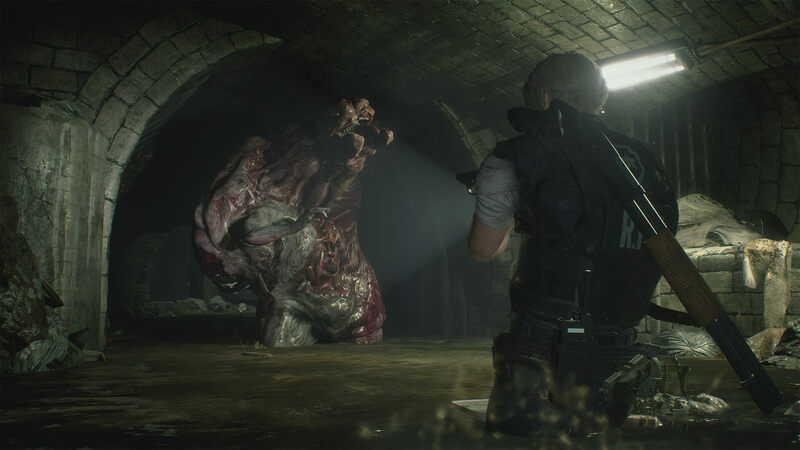 I love how Capcom have made the zombies move quicker, making it harder for the player to run and shoot the creatures. The fact places like the Police Station are super dark and its making the game more fun to play and more heart stopping to play. There has been major improvements from the original, between the voice acting, graphics and general gameplay. The improvements based on the enemies, not only the detail and how they look, but how they move and sound to the players. When we take a further look into the gameplay, we notice the difference notice not only in the enemies, but in the environment. The Raccoon City Police Department is looking particularly interesting! 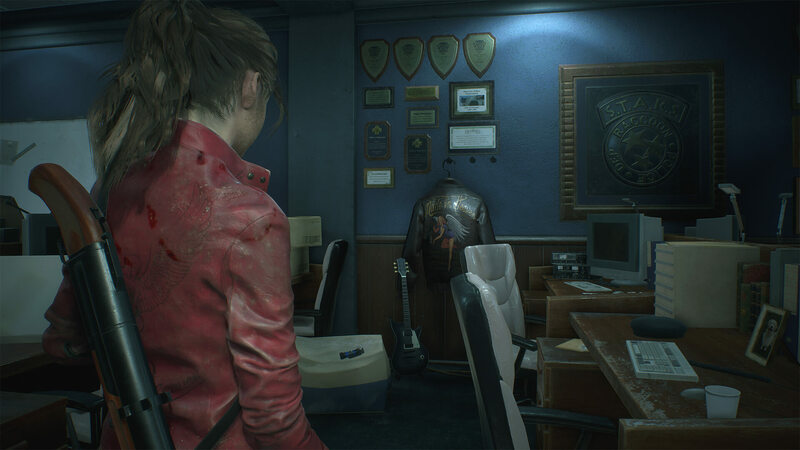 Capcom have really built the Police Station from the ground up as every detail, right down to the puzzles and keys for the doors with symbols on them. The gameplay music is really eerie and has a more modern feel to it. The original game had a fixed camera angle too but with the new remake, you can move the camera to explore your surroundings. The beauty of old style Resident Evil games, is that they go by different character perspective, making the game more engaging as you are experiencing both sides of the tale. The combat style with the characters, Claire and Leon are both similar. When picking up items, you’ll need to strategies, as whatever you pick up, may not be there for the other character. Managing the characters inventory is also the same as the original as you have vaults to keep your items in that you don’t want to leave behind for good. Claire also has a stalker, Mr X. As per the gameplay footage, MR X is someone who has been sent to get rid of survivors immediately. It’s just a case of running until you loose him or try and shoot him as many times as you can to stall him. He just wants a cuddle! In the original version of Resident Evil 2, everywhere you turned there was a zombie. On the new remake, there are less zombies, but they move a lot quicker. In some cases you’ll need a combat knife yo get them off you when they grab you. If you don’t have a combat knife then you are in are big trouble. You’ll need to strategize when encountering enemies. I would recommend carrying grenades and combat knives to help with the lickers as shown in the above clip. There are characters that have more screen time than what they did in the original. For example, Marvin Brown is there to help aid Leon and Claire throughout the process. There has been a huge improvement with the voice acting. Leon sounds more relatable to the player. Claire also sounds pretty awesome and pretty relatable to me. Claire has always been my favourite female character , so I have a pretty soft spot for her. I have also taken a look at the modern version of Ada Wong. She looks pretty much how I would expect her to be, mysterious. However, the detective coat is a little overdoing it. A few features that are new to me are going to be new to everyone. Many of the things we’ll see in the remake are not going to be as we remember them. Layouts will be different, puzzles and ememy behaviour too. I guess this is a good thing considering its a remake and it gives players who have played the original something fresh to play. Another feature which is something that didn’t happen in the original was that the enemies can now just bust through doors which gives you less time to get prepared or run away. Using the woodplanks to cover the windows is a smart and more realistic approach to the game. Overall, I am pretty excited for Resident Evil 2. The gameplay is fantastic and the graphics are looking outstanding right now. I am particularly looking forward to playing as Claire and I am looking forward to blasting the heads off of some zombies and lickers! I don’t have many, this game really does look great. What I could only consider is a concern is, I am also a little worried that I will prefer the original game! My biggest fear, as maybe with other RE fans, is that I won’t enjoy the game due to my attachment to the original. It’s not the easiest task to remake something like this. But, at the same but I am looking forward to the changes! Personally, I also wonder if I am going to be too shoot-happy with weapons. I don’t do well with strategizing, so if you like to get through those bullets, like I do, be ready to be careful how many you fire! January 2019 is starting with a bit of a bang for quality games. Capcom had big success with this window releasing RE7 and I see another win for them here. The new gameplay looks amazing and the changes seem like they have been done with sympathy to the original title. This could be one of the big games of the entire year, not just this month. Maybe even in the mix for the best horror title out this year. 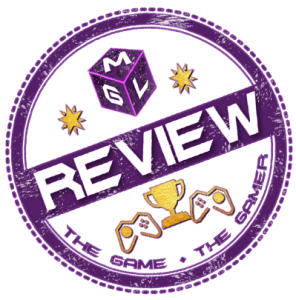 Keep on MGL to find out more in my review when it’s live! Will you be getting Resident Evil 2? 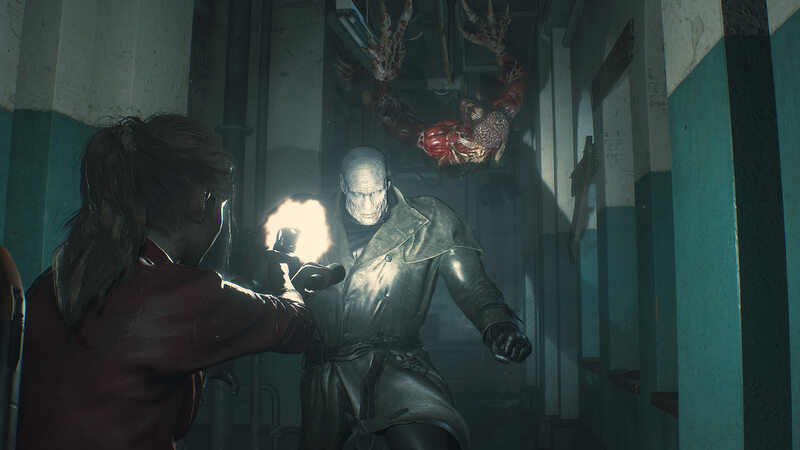 After that deeper look into Resident Evil 2, are you picking it up? If so let me know if you are going to be getting it when it comes out! A simple, “Yes” or “No” in the comments below would be awesome. Found this interesting? Don’t forget to Share This Article with your fellow gamers, because they might be looking at this game too. Previous articleFirst Mortal Kombat 11 Gameplay Revealed – Story, gameplay and fatalities!